How do I create a digital account? 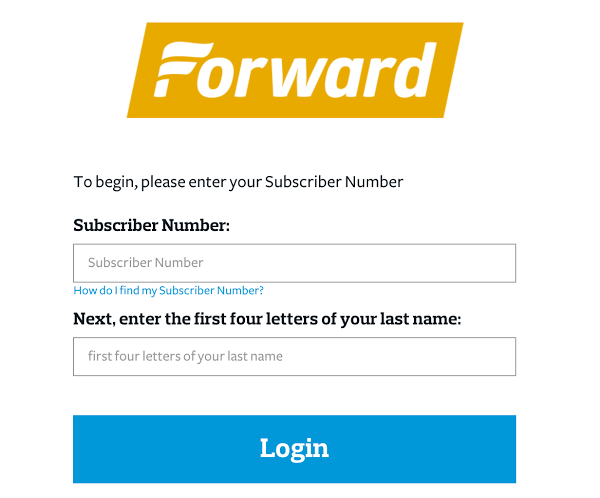 Click on ‘Log in’ at the top right of the Forward home page (Forward.com). 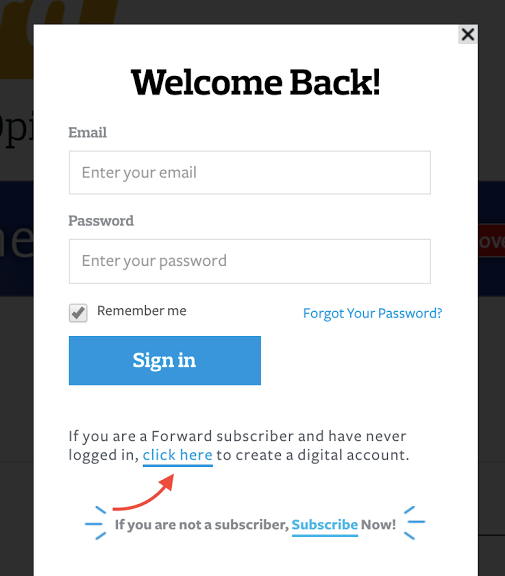 A Welcome Back box will appear and toward the bottom of that box you will see “If you are a Forward subscriber and have never logged in, click here to create a digital account”. Click on ‘Click here’. Enter your subscriber number, which is in the email we sent you, and the first 4 letters of your last name, and click the Login button. You will then be taken to another page where your email will already be entered. (If it’s not, please enter it.) You just need to create a Password and you’ll be done! Then click on ‘Go to Forward.com’ to return to the website. It should say your name at the top of the website. That way you will know you are logged in. If you are not logged in, click on ‘Log in’ and enter your email and new password.